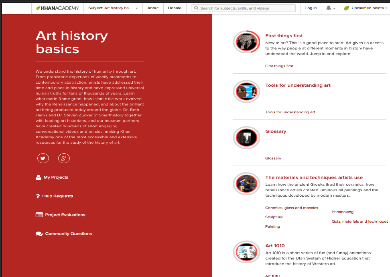 This section serves as an introduction to art learning. It tackles key concepts such as why studying art, the difference between art and craft, why art is valuable, history of western culture and many more. This section is meant to help you use analytic approaches to better understand artistic works. Some of the things you get to learn here include: how use art for analytic purposes, how to analyze a work of art, how museums shape meaning, a brief history of women in art and many more. In Glossary you get to learn about basic definitions of important terms in art.